Eldina Qirici - St. Louis Equity Fund, Inc.
Eldina Qirici joined SLEFI in March of 2007. Eldina handles internal accounting functions, Fund accounting and financial communication with SLEFI’s investors, correspondence with general partners to track related party transactions, and general ledger analysis and reconciliations. Eldina is also responsible for construction draw processing, working closely with all parties to obtain the required documentation and approvals, and to insure the proper application of funding. 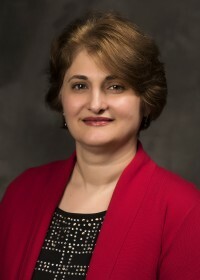 Eldina earned her Bachelor in Business Management and Accounting from the University of Tirana, Albania, in 1990, and earned her M.B.A. with an emphasis in Finance from Webster University in 2001. She is currently a member of the Institute of Management Accountants (IMA) and working on her CMA Certificate. Prior to joining SLEFI, Eldina was the Accounting Manager for NPN Environmental Engineers.